We will help you harness the power of Google Analytics to positively impact your bottom line. Google Analytics allows you to slice, dice, and report on data in so many ways, it can seem like an overwhelming task to identify which metrics will provide the most valuable information on how visitors find and interact with your website. 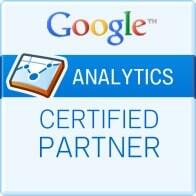 When it comes to Google Analytics, our team of consultants have done it all. We can help you with configuration items such as e- commerce, path analysis, funnel analysis, AdWords integration, A/B and multivariate testing, and custom Google Analytics coding. The payoff with digital analytics is not in the creation of reports but rather in report configuration and interpretation. To gain real value from the innumerable website metrics and measures, you need a precise plan. Our Google Analytics experts will guide you through the development of a strategic plan and identify website goals with related Key Performance Indicators (KPIs). We will facilitate this by using Unilytics’ proprietary KPI Karta® methodology and making certain the identified metrics are tracked. Most importantly, we’ll help you interpret and react to the results. We can further enhance your Google Analytics reporting by creating Tableau dashboards that will reveal actionable insights faster. Do you feel completely confident making important decisions based on your Google Analytics reports? If not, it’s time for one of our Google Analytics rock stars to conduct a comprehensive Digital Analytics Audit. Unilytics has helped many organizations create and implement a Digital Analytics Governance model based on four tenets of sound practice: accountability, accessibility, community and uniformity. Unilytics’ Digital Analytics Maturity Model clearly identifies the tasks that should be addressed to achieve a robust and effective web presence. To get help with digital analytics from our expert Google Analytics consultants, leave your email. Email Successfully Sent, Thanks for notes.